How Grin electric scooter, a startup in Mexico seized the market of Latin America? Electric scooter rentals have become extremely familiar these day. The e-scooters are not only saving the environment but are also a source of raising huge economy. In Mexico city, people were concerned about the ever increasing air pollution with 3 million cars running on the road. E- Scooters led the health experts and environmentalist breath a sigh of relief. Endless traffic and extremely crowded public transport was about to make Mexico city the world’s most polluted city. However, Sergio Romo, a man with vision to save Mexico, came up with an innovative idea of launching electric scooters in mexico. He imported electric scooters from China but soon realized that it was not a good idea to use those e-scooters. They were not sustainable option as batteries ran out continuously and the wheels punctured. He was looking for a solution and came up with an idea based on network of shared electric scooters like those existing in US. He had seen them on his trip with his business partner and Grin co-founder Jonathan Lewy. He was sure that he could deal with the impracticalities by rendering a platform where customers could access the services and easy -to-use transporation model that would save both time and money for him. Grin aimed at providing ease and simplicity of using the electric scooters in Mexico. They made a mobile app for electric scooters and set up an easy payment method within the app. Grin provided its users a wide network of scooters which they could pick up anytime using the app. The Grin zones were set around the city which could be located with the mobile app. They made these parking zones within the vicinity of the users and made sure that the users are able to explore the area and their city with a new angle of vision. Grin electric scooters could be used for short journeys around 10 minutes in length. They have not set any routes for the e-scooters and users are free to take the electric scooters anywhere where the Grin zones are present. The team of Grin is able to track and locate their electric scooters via the app. They can even check the number of journeys of passengers and battery levels of a scooter. Within a short period of time the Mexican startup, Grin raised $45 million series A round. It is said to be backed by Y combinator and is merging with Sao Paulo based Ride to expand its business across Latin America. After merger, Ride will be operating under Grin brand in Brazil. To expand its business to Colombia, Grin partnered with Rappi which is an on-demand delivery startup that raised $200 million back in August, 2018. In January,2019 Grin joined hands with Yellow, Brazil’s leading dockless electric scooter provider. They are expecting to create a new local champion of Latin America micro-mobility and online to offline (O2O) services. The new company is said to be called Grow mobility which will derive its name from Grin and Yellow. The combined company has more than 135,000 vehicles across 6 countries and they are planning to expand throughout Latin America over the coming months. » Grow – a combination of Grin and Yellow is committed to provide transportation to a huge population in Latin America. They will be providing services for transportation, digital payment services and food delivery. » Transportation: Grow will be providing transportation to urban population to satisfy their needs of mobility. They will be providing micro-mobility services in the areas where there is insufficient public transportation and a unique demand for these services. » Digital Payments: Grow will have its own digital payment platform. It is a safe and convenient way for many unbanked and underbanked users in Latin America. » Food delivery partner: Grow will be expanding its existing partnership with Rappi and Rappi’s more than 20 million users will be able to unlock scooters through the app. Can you start you electric scooter rental business in Latin America? There are hot opportunities in e-scooter rental business around the world. You can also step in this business and generate a good revenue. The only thing that you need to be accessible to your target audience is to have your own mobile app. You can reach thousands of people just by going online. So, this is all about the successful electric scooter sharing startups from Mexico who is doing extremely well in the market. 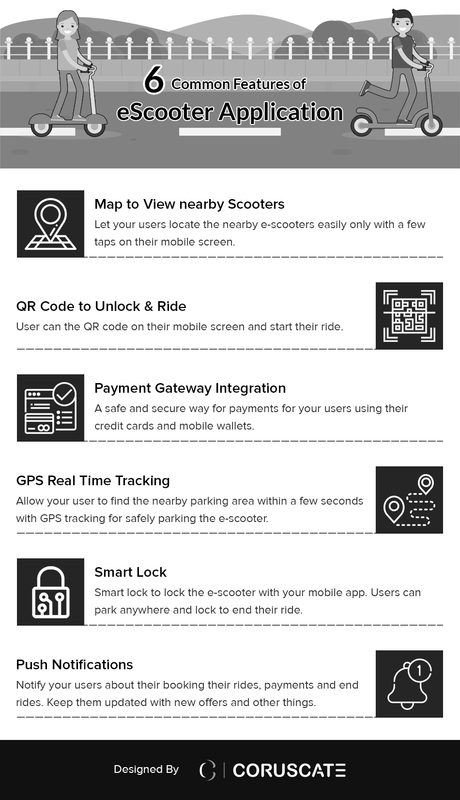 By considering the growth and success of these electric scooter startups, if you have decided to start your own e-scooter sharing startup and develop an app like Grin or Yellow, then check out the 6 common features of eScooter app to consider while developing your own apps like Grin and Yellow. Approximate Hours of Developing E-Scooter Apps like Grin, Yellow, Bird or Lime. One of our Sr. Mobile App Developers defined that approximate 900 to 1000 hours of development you will required to make eScooter mobile app. To get the exact development hours according to your requirements, get in touch with one of our sales representative, who provides a free consultation to all prospect. 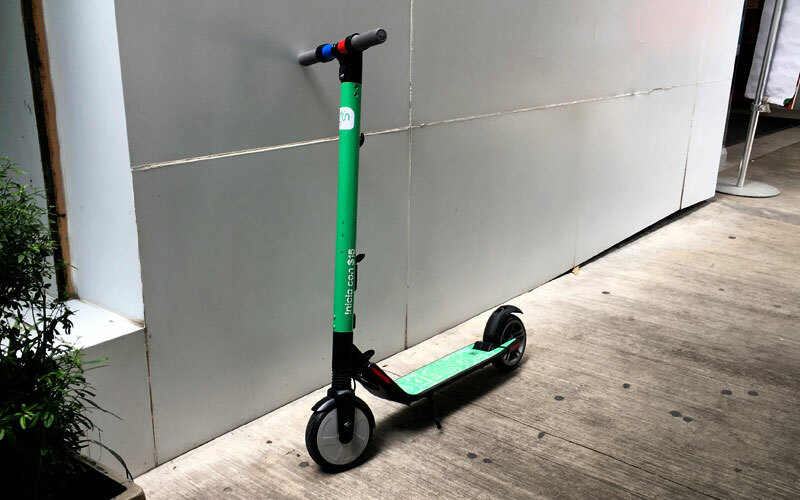 Ready to Turn Your E-scooter rental App Idea into a Successful E-scooter app like Grin? Once you are ready with your plan, you need to decide who can help you develop best software application for your e-scooter business. At Coruscate, we have looked into many e-scooter app development queries and provided solutions to businesses. We know and understand each company has different needs. We will dig deep into your requirements and provide you with unique solutions. Click below to get a free consultation.